My dog says the pups have taste tested one of Halo's canned food for dogs and we're here to share the results. 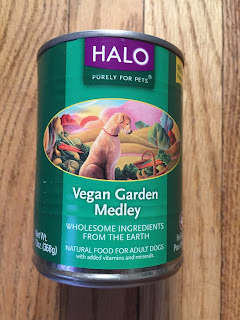 See what the canine crew has to say about Halo Vegan Garden Medley. As can be seen from the name, Vegan Medley is a meat-free food. The first three ingredients are vegetable broth, chickpeas, and potatoes. There's also carrots, spinach, peas, and dandelion greens. There is no animal protein, animal fat, or dairy in this recipe. Spinach, olive oil, and flaxseed provide essential fatty acids and pea protein helps to build strong muscles. This is a slightly grainy pate. I suspect some of that "grainyness" is from the chopped up chickpeas. It's also sticky. If you use a spoon to scoop it out, the food sticks to the utensil and you have to wipe it off with your finger. It won't come off on its own, even when you tap the spoon on the bowl pretty hard. The most noteworthy thing about Vegan Medley is the smell. It reminds me of Thanksgiving stuffing. Maybe it's the dried rosemary? I'm not sure, but It made me want stuffing that's for sure. 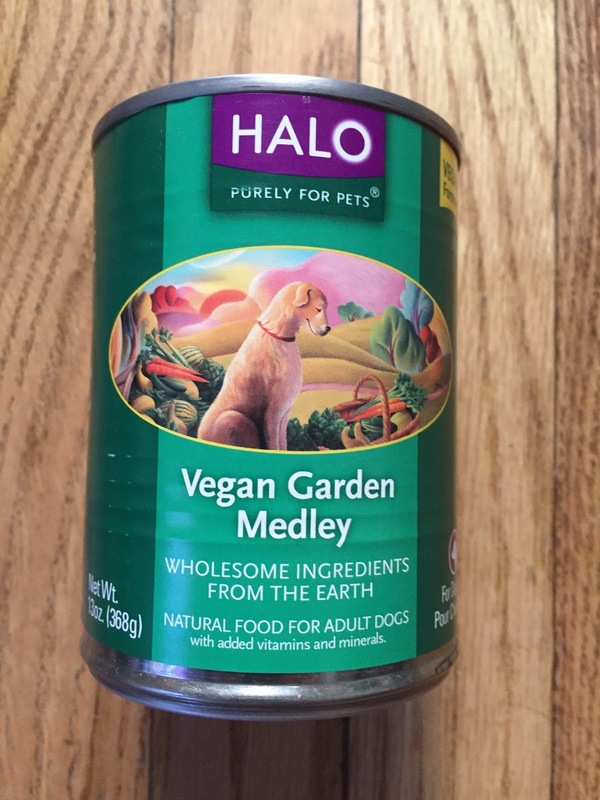 A 12-can case of the Halo Vegan Medley currently sells for $41.18 on Chewy.com, so it's three bucks and change per 13 ounce can. A discount kicks in if you auto-ship. 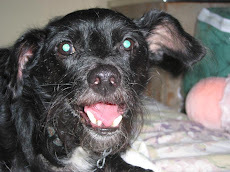 We've tried the Vegan Medley kibble in the past and the dogs really liked it. That's why we were eager to try this recipe in canned. However, it was met with a mediocre response. Half of the crew ate it, and half wouldn't. It kind of felt like feeding a kid brussel sprouts. You know it's good for them, so you want them to eat it. But they're not doing cartwheels when you serve it up. It's a high quality food and when using it, it's nice not to have to worry about food safety issues for the meat. That said, we give this canned food 2.5 paws.